Unfortunately, most job applicants dread writing their cover letter. If you fall into this category, keep in mind that you aren’t alone. At the same time, it’s important to realize that writing your cover letter doesn’t have to seem impossible; when you know what you need and want to convey, writing your cover letter can seem like a breeze. 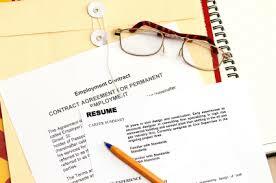 Some of these tips can also be useful when writing your Curriculum Vitae. Take a look at a cv sample to get an idea of which ones might come in handy. Use 12pt. font that is easy to read. The best professional fonts include Verdana, Tahoma, Arial, and Times New Roman. Be sure to list your contact information including name, address, phone number, and e-mail address. Arrange your cover letter so that it’s both organized and aesthetically pleasing. Be sure to put spaces between your paragraphs and proofread your letter before sending it. While it may be tempting to write a standard cover letter and use it for all jobs that you apply for, doing so can be a huge mistake. Not only that, but to ensure that you use a cover letter to your advantage, it can be important to highlight skills that are relevant to the job you’re applying for. Use good grammar with excellent sentence structure. Use an active writing voice. Not only do you want your cover letter to be unique from others that you’ve written, you also want it to stand out to the hiring manager. When writing your cover letter, try to include thoughts and statements that will make someone take notice. Remember, you’re making a first impression; don’t let a chance to stand out pass you by. Another key element to writing a good cover letter is choosing an appropriate closing statement. The best way to increase your chances of getting an interview is to include a call of action; however, the call of action needs to be your own. Show that you’re willing to make the effort. Although writing a cover letter can seem daunting, writing a good cover letter doesn’t have to seem impossible. Keep in mind that your cover letter is your potential employer’s first impression of you; be professional, organized, and ready to strut your stuff.